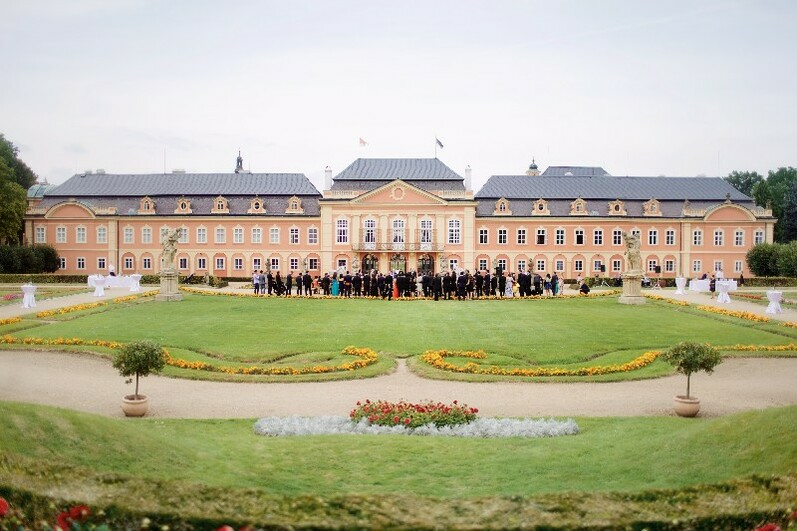 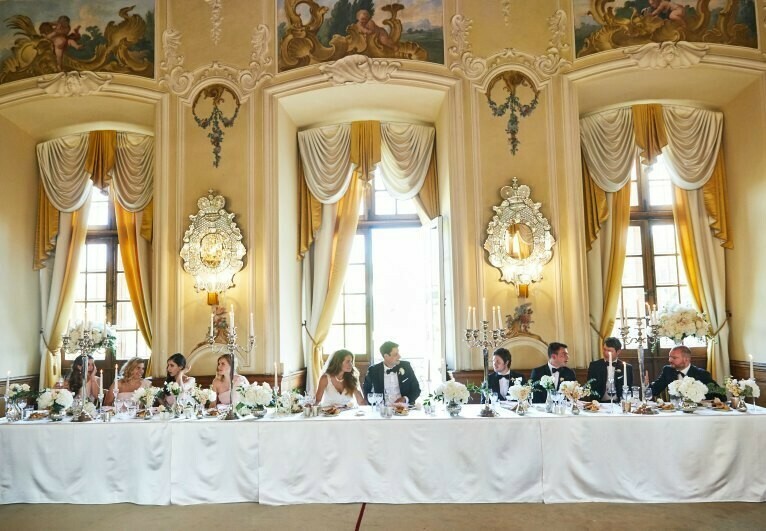 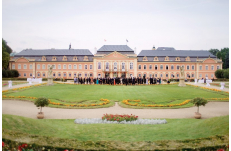 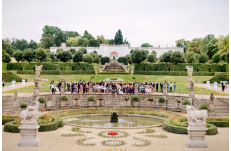 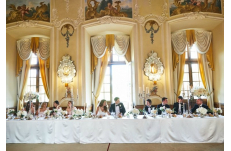 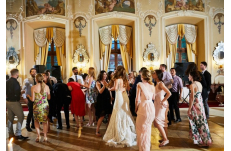 Beautiful historical interiors, unique French style park and hotel accommodation are what make this Rococo Castle in Dobříš wonderful wedding venue! 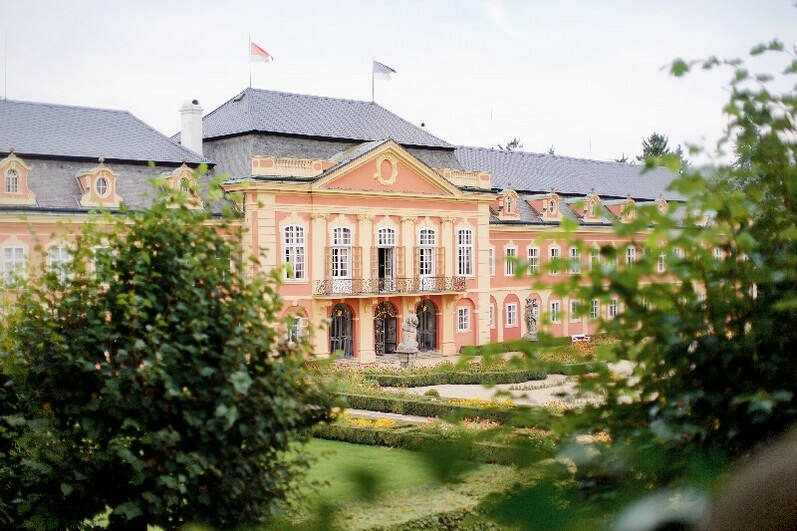 The castle and its stylish parks date back to the second half of the 18th century when the original Baroque Chateau was destroyed by fire. 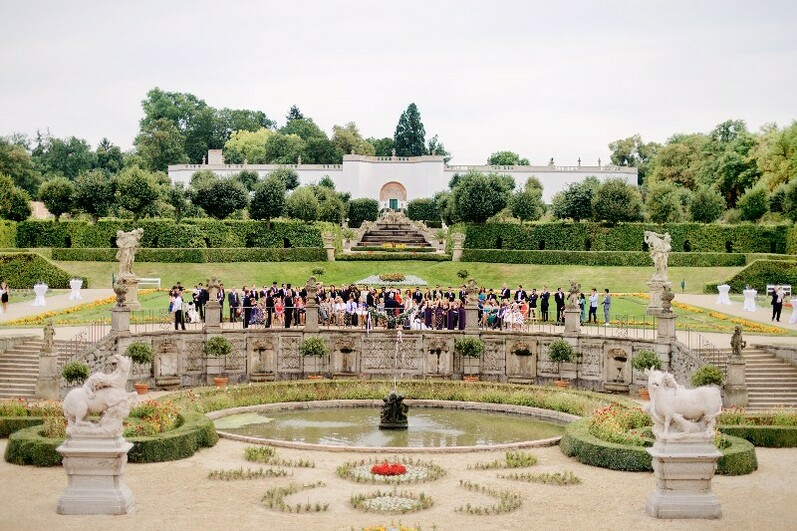 We love the spacious garden that can host a ceremony, photo shoot or wedding toast. 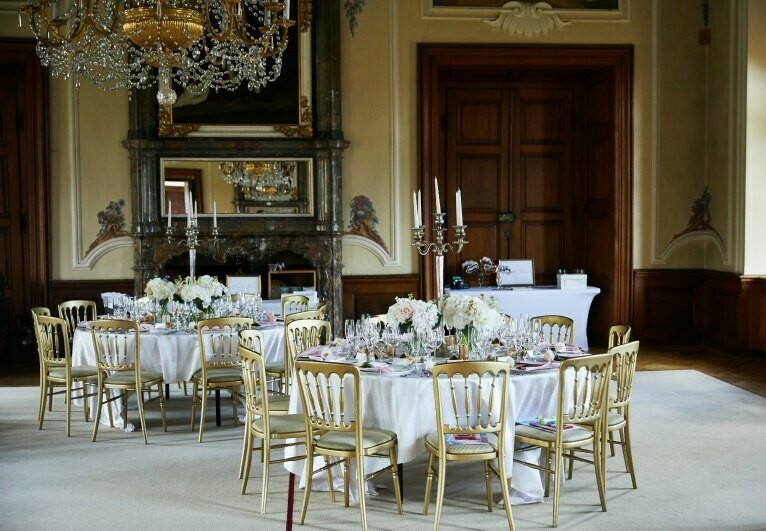 Ceremony: The ceremony can be held either at the Mirror hall, French park or in old stable. 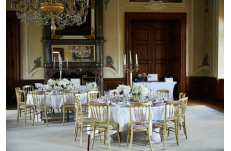 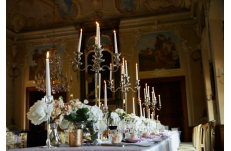 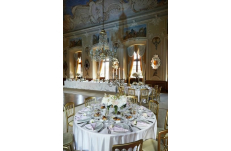 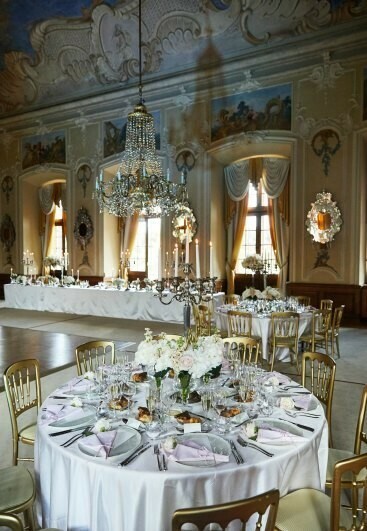 Reception: The Chateau can be rented partially or completly for a fairy-tale wedding reception. 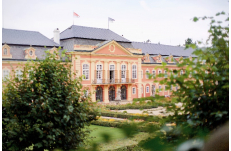 Accommodation: The Castle offers accommodation in 22 rooms and one apartment built in rococo style.